Picnic getting boring? Here’s a fun game that gets the kids moving around, and doing a little addition while they’re at it. Kids take turns trying to blow small objects off their hand into three buckets—all with different point values. The player who gets the most points, wins, but everyone's guaranteed lots of fun! First, set up the playing field. 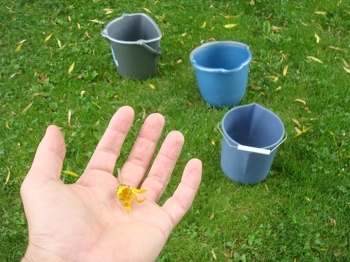 Place a twig down as the "launching line," then arrange three buckets: close, medium, and far. Decide how many points each bucket should be worth. 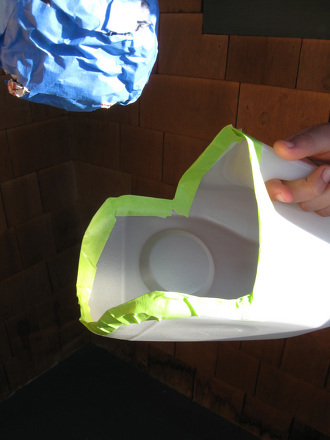 For example, make it: 5 points for the closest bucket, 10 points for the middle bucket, and 15 points for the farthest bucket. Now it's time to play the game! Each child gets three chances to blow an object off his palm, aiming for inside the buckets. Help each child keep track of their score. Play a total of three rounds. The child with the most points at the end, wins! Keep the game interesting by moving the buckets between rounds, or trying different objects, for differing levels of difficulty. Searching for help with you kid's geography skills? 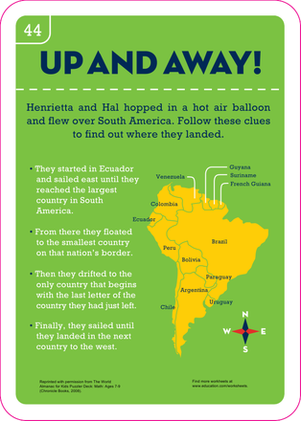 This printable worksheet will teach them the continent of South America. Up, Up, and Away Again! 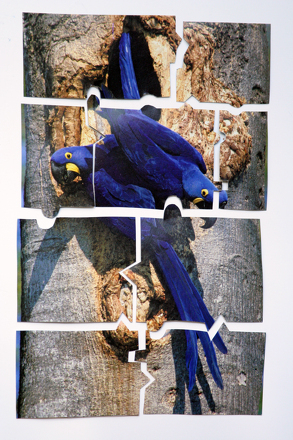 Searching for a way to help you kid practise their geography knowledge? This printable is a great way to learn the countries in North America. Be swept away on a canoe adventure in this coloring sheet. 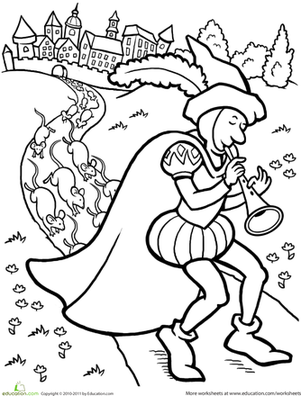 This fun coloring sheet features the Pied Piper luring the rats away from the town of Hamelin. This Neverland coloring page will spark your imagination and sweep you away to the world of Peter Pan! Pop out the ruler and measure this feisty furball before he runs away! This Jeep is waiting for you to colour it in so it can whisk you away to some ancient ruins or take you on a jungle safari.